When I was sent this article, I must admit to being very sceptical. ‘Magic’ solutions and miracle cures have usually turned out to be snake oil of no real value. Still, Kew Gardens are endorsing the product and the science, as far as I can judge seems sound. 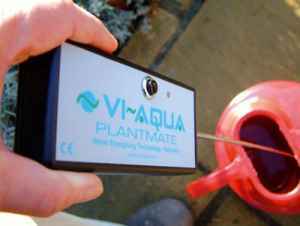 The battery operated Vi-Aqua Plantmate is designed to be used in small gardens where the electro-magnetic field can penetrate up to 55 litres of water. Here we see it being used with a watering can. The larger Hosemate version is designed to be used with a hose. Four years ago a friend holidaying in Spain from Ireland came for dinner and proudly presented us with what he called jokingly ‘Viagra for your plants – the latest horticultural technology from Ireland’ instead of his usual bottles of excellent wine. We opened the packet and found a small handheld box with an extendible antenna labled Vi-Aqua Plant Mate. An included leaflet indicating that the technology had been evaluated and given endorsement by the Royal Botanic Gardens Kew who use the technology in their greenhouses and some newspaper cuttings. The following day we started to use the gadget and contacted the manufacturers for more information. As a result we started a friendly relationship and an informal trial of the technology in Spain. Two years later we called into Kew Gardens when we were in the UK to share experiences. As a result we became even more enthusiastic about it’s use. So How Does Vi-Aqua Technology Work? The literature indicates that each of the units, whether battery or mains operated, emits safe frequency electromagnetic signals into the water which modify the molecular structure of water and increase the amount of hydrogen peroxide in the water. The benefits are that this improves the surface tension of water so that it becomes more wettable and enables roots to more easily extract nutrients from the soil. This results in faster root and plant growth, stronger healthier plants and potentially a reduction in the amount of water required for irrigation. The manufacturers have undertaken trials that indicate significant benefits to using vi-aqua. Up to 30% yield increase in spring lettuce. What Plants Can Benefit from Using Vi-Aqua? The simple answer is all. 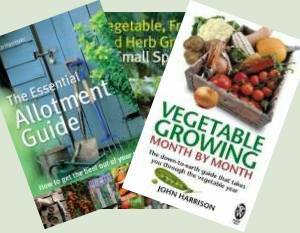 Published endorsements that we have seen talk about the general use in gardens , the growing of grass on major golf courses and sports stadiums, the growing of flowering plants including orchids at Royal Botanical Gardens Kew, lettuces, strawberries , raspberries etc. We have been using/evaluating both a plant mate and hose mate units for several years. Both are handheld. in vases before placing cut flowers in them to lengthen their life span. general watering around the garden when the drip irrigation system is not on or in areas in which we don’t have one. We believe that the use of the Hose Mate speeded the recovery of our garden after it was badly damaged by an unexpected hard frost in 2005. When we started using the Plantmate unit we grew two sets of four types of seeds in two types of compost and found that those watered with treated water grew more quickly and strongly than those with untreated towns water. We have recently set up a fixed Garden Mate unit on the inlet pipe to our drip irrigation system and are enthusiastically awaiting a test unit to treat the water in the incoming water channel to our allotment where we have to water by flooding every seven to ten days during the hot summer if it has not rained. Vi-Aqua is the brainchild of Dr Austin Darragh and his son, David. Set up in 1995, the company has developed a product which enhances water in order to it boosts plant growth. By harnessing the expertise available at UL’s Chemical and Environmental Science Department, they were able to quantify just how well the product works. And the results have proved to be very impressive. 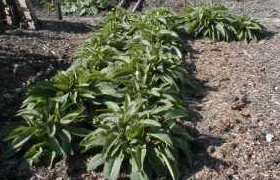 Growth rates in plants and vegetables treated with this technology increased by between 25 and 46 per cent, depending on the species.